Hankies, not the type you blow your nose with, but the term used for a thinly stretched and folded (like a hanky) roomali roti, and the namesake of an Indian restaurant, which specialises in making them. Hankies serves Indian street food from the region of Delhi on small plates similar to the likes of Talli Joe, but with a canteen style setting. 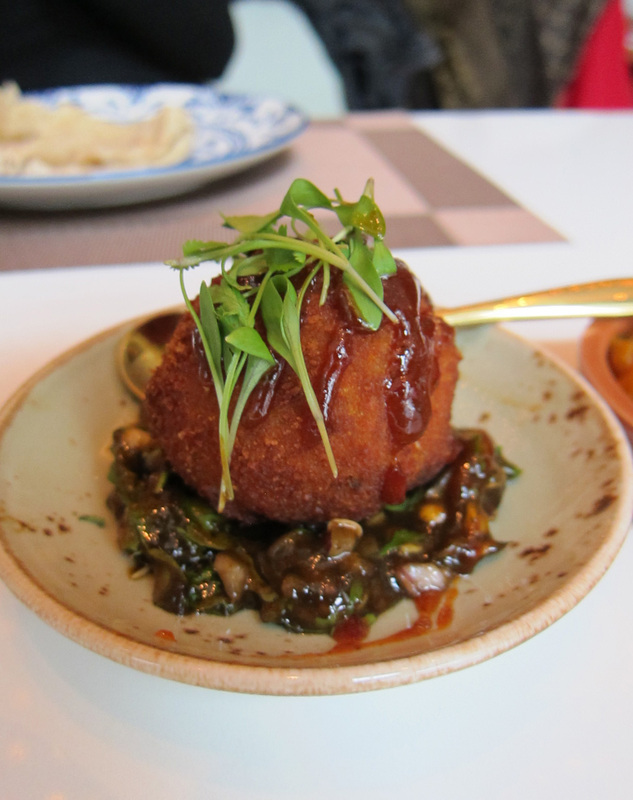 Hankies have recently opened a sister restaurant, Hankies March Arch, located within the luxurious Montcalm Hotel. As soon as you walk into the restaurant, you feel the air of casual sophistication. The tables are dressed well, the staff are welcoming and you just know that you’re in for a treat. 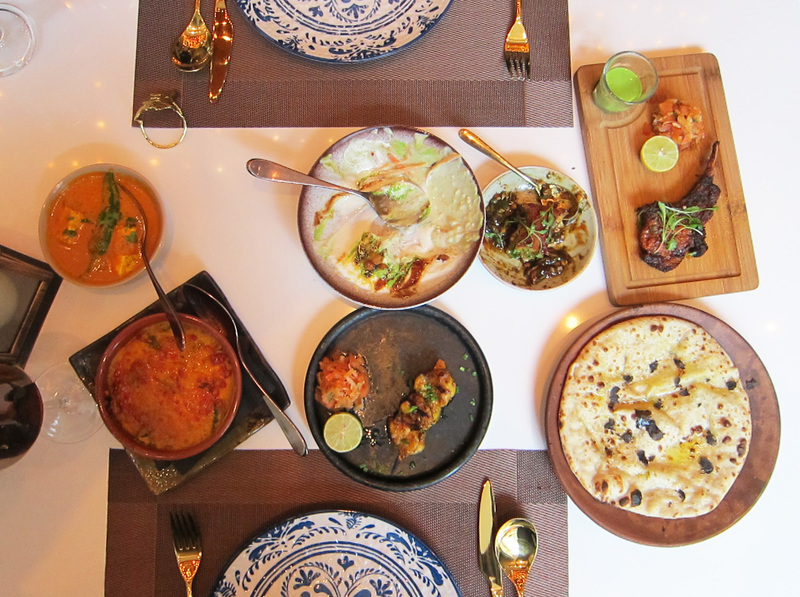 We order a selection of dishes, which are broken into sections: Small Bites, Grills, Vegetables, Pots and Pans and the Seasonal Special –‘Truffle Naan with Vintage Cheddar’. The truffle naan is good although I don’t detect much of the cheddar. All the other dishes are very nicely spiced, full of flavour, and not overly hot. The dishes that stand out the most for me are the Chive and Garlic Prawn and Chilli Lamb Chop. 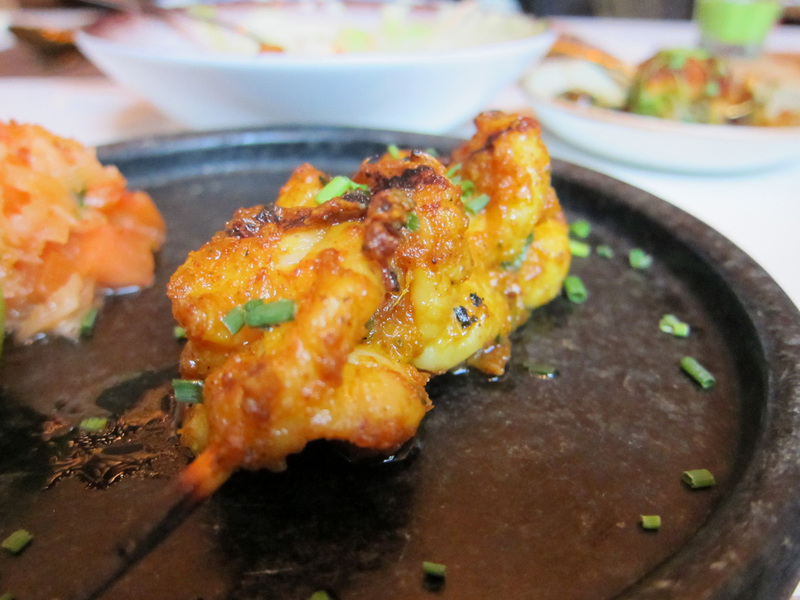 The prawn has a tasty cumin spice with a very moreish salsa and the lamb is rich and succulent. 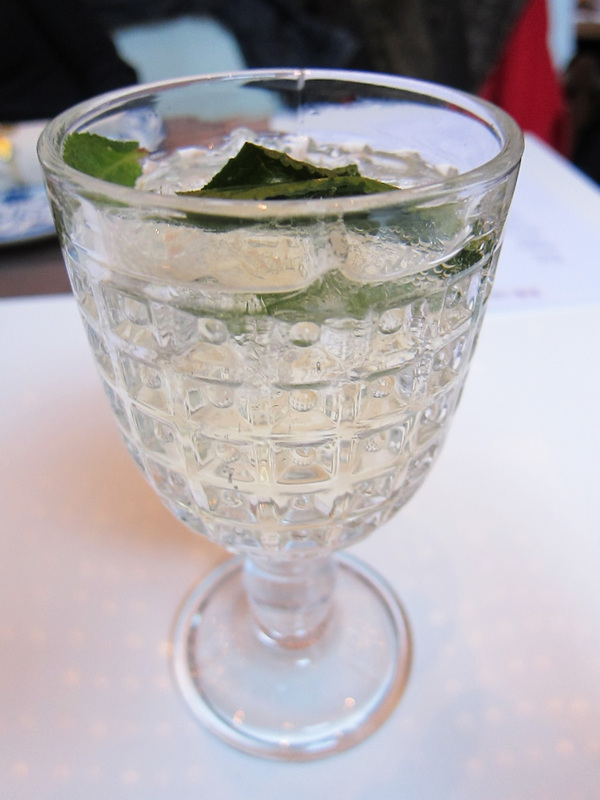 We wash the food down with Elderflower and Prosecco Spritzers, which is a light and refreshing thirst quencher. 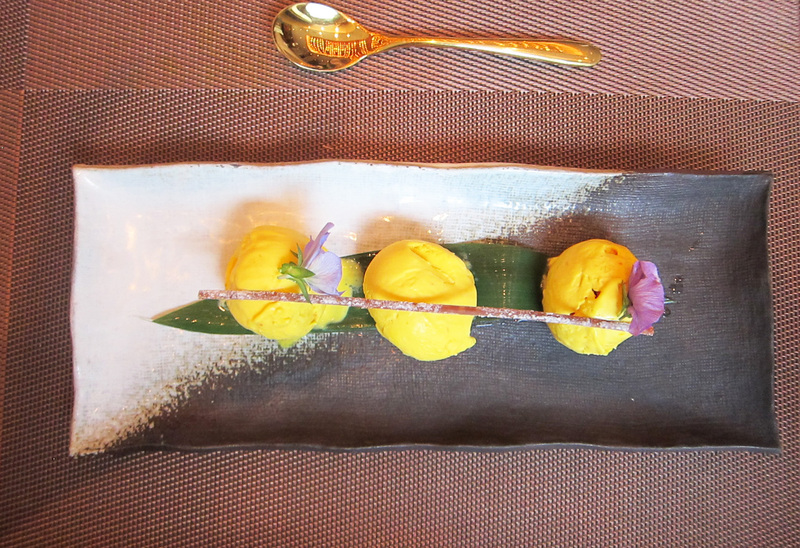 And I end the meal with a smooth and creamy Mango Kulfi. Hankies March Arch is a lovely restaurant serving lovely food. Prices are very reasonable; dishes start from £3.5 to £9. Food I Fancy dined as a guest. Copyright © 2011-2019 Food I Fancy. All Rights Reserved.